Insurgents who attacked Bagram Air Base in Afghanistan on Wednesday were wearing U.S. Army-style battle fatigue uniforms, according to a U.S. military official who has seen initial eyewitness accounts of the attack. Tesla Motors is partnering with Toyota to make electric cars at a defunct auto plant in California in a deal that is expected to create thousands of jobs, the two companies announced Thursday. Part of the deal will involve Toyota purchasing $50 million of Tesla’s common stock, the companies said in a joint statement. “Toyota is a company founded on innovation, quality, and commitment to sustainable mobility. It is an honor and a powerful endorsement of our technology that Toyota would choose to invest in and partner with Tesla,” said Tesla CEO and co-founder Elon Musk. The companies intend to collaborate on the development of electric vehicles, parts, and production system and engineering support, Toyota President Akio Toyoda in a joint press conference Thursday. The venture is expected to create thousands of jobs at the recently shuttered New United Motor Manufacturing plant, or Nummi, in Fremont. Gov. Arnold Schwarzenegger also spoke at Thursday's press conference and thanked the companies for bringing their business to the state. "This all hapened because we created tax incentives for this company and this partnertship," Schwarzenegger said. 'Reason to believe' Pakistani Taliban plotting to strike U.S.
U.S. intelligence has strong reason to believe that the Pakistani Taliban is actively plotting to hit interests in the U.S. and American targets overseas, a U.S. official told CNN Thursday. The concerns about the group that authorities say directed the Times Square bombing plot are coming from multiple streams of information, including from Faisal Shahzad, the Times Square bombing suspect, the official said. 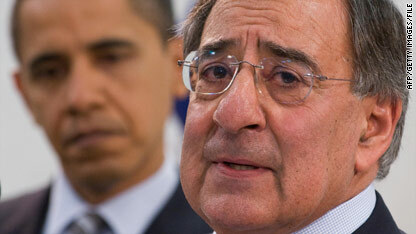 The official told CNN that CIA Director Leon Panetta and National Security Adviser Jim Jones relayed the new terror threat information to Pakistan's government on their trip there earlier this week. The threat information was not down to the level of specific cities, the official said. Reading scores for 2009 showed significant improvement from 2007 among fourth-graders in four urban school districts and among eighth-graders in two, according to a report released Thursday. Filed under: Education • U.S.
Former Pakistani President Pervez Musharraf intends to return to Pakistan and re-enter politics, he tells CNN. Director of National Intelligence Dennis C. Blair has resigned, two senior intelligence officials confirmed Thursday. Authorities evacuated the pedestrian area of Philadelphia's Independence Mall on Thursday after "a balloon with a powdery substance" was found near the Liberty Bell, authorities said. Preliminary field tests were negative for explosives and radioactivity, FBI Special Agent J.J. Klaver told CNN, but were positive for an organic substance. Klaver said a security guard found the balloon near the Liberty Bell Pavilion and alerted authorities. The FBI plans a news conference shortly, he said. One of two men arrested in Massachusetts last week had an envelope with attempted Times Square bombing suspect Faisal Shahzad's name on it and a cell phone with Shahzad's name and phone number in its memory, a spokesman for Immigration and Customs Enforcement told CNN. ICE spokesman Brian Hale said the information was revealed during an immigration court hearing in Boston for Aftab Ali Khan. The envelope had a phone number on it that investigators concluded was Shahzad's. Aftab Ali Khan and his uncle, Pir Khan - along with a third man, Mohammad Rahman, who was taken into custody in Maine - are believed to have been involved in an informal money transfer network that provided cash to Shahzad, U.S. officials said. But the Khans' lawyer, Saher Macarius, said they do not know Shahzad and did not give him any money. The Senate voted Thursday to end debate on a sweeping financial regulatory reform bill - a move that indicates likely passage of the measure. The Flyers are two wins away from their first Stanley Cup finals appearance since 1997 having won six straight games after losing the first three games of their previous series against Boston. The Canadians have yet to score a goal in the series as the best-of-seven series shifts to Montreal for Game 3. Turkish warplanes launched a series of cross-border air raids against suspected Kurdish separatist fighters in northern Iraq on Thursday, Turkey's semi-official Anatolian News Agency reported. A Los Angeles judge revoked actress Lindsay Lohan's probation and issued a bench warrant for her arrest after she failed to appear at a hearing Thursday. Lohan lost her passport and was unable to fly back to the United States for the hearing, Lohan attorney Shawn Chapman Holley said. Judge Marsha Revel ruled that there was "probable cause to believe (Lohan) is in violation of probation" from a 2007 drunk driving conviction. Pakistan on Thursday blocked access to YouTube - a day after it shut down the social networking site Facebook - in response to an online group calling on people to draw the Prophet Mohammed. Security Brief: When a terrorist is caught, who do you call? The ever-growing list of acronyms used in Washington has two additions from the counterterrorism world which you'll likely hear more about in the future: HIG and MIT. Last summer, the president's task force on terrorist detentions and interrogations recommended putting together an interagency High-Value Detainee Interrogation Group, or HIG, to deploy teams to participate in or support the interrogations of suspected terrorists in custody. The HIG would be housed in the Federal Bureau of Investigation and led by an FBI officer with two deputies, one from the CIA and the other from the Defense Department. The Mobile Interrogation Teams, or MITs, would be comprised of FBI agents, CIA officers and other members of the intelligence and homeland security community. Not much was heard about the status of HIGs and MITs until the January congressional hearings following the failed attempt to blow up a civilian airliner on Christmas Day. Umar Farouk AbdulMutallab, the suspect in the attack, was questioned briefly by the FBI after he was detained and then read his Miranda rights. AbdulMutallab then stopped answering questions. When Director of National Intelligence Dennis Blair was asked by a senator if he was consulted about the decision to read the suspect his Miranda rights, he said HIG should have been called in to assist with the interrogation. But HIG was not yet fully operational at that time. Government officials had not completed work on the charter setting up the parameters of the group and its teams. But now HIG and MIT are more than acronyms. With charter now in hand, the teams are now participating in key investigations including the recent Times Square bombing attempt, according to John Brennan, the president's counterterrorism adviser. Tareq and Michaele Salahi, who crashed the last White House state dinner, were pulled over near the White House Wednesday. White House party crashers Tareq and Michaele Salahi didn’t show up at President Obama’s Wednesday night state dinner for Mexican President Felipe Calderon, but that doesn’t mean they were off the Secret Service’s radar – or far from the event. The couple was in the back of a limousine that was stopped by a uniformed Secret Service officer just two blocks from the White House where Obama was entertaining the Mexican leader and 200 guests Wednesday evening, the Secret Service said. So much for being covert. CIA Director Leon Panetta is currently on his ninth mission overseas, a high-profile visit to Pakistan with National Security Advisory James Jones. Usually CIA trips are kept way under the radar. The nation's top sleuth, and probably most of his international peers, prefer working in the shadows. But when it comes to Pakistan, it seems to slip out, one way or another, that he is in country. The U.S. military has launched a criminal investigation into allegations that a small number of U.S. soldiers were responsible for the unlawful deaths of as many as three civilians in Afghanistan, the military said Thursday. A man who oversaw suicide attacks that devastated the Iraqi government said he got an order to target four ministries in the strikes, which killed and injured hundreds of citizens last year. Is Miss USA a Muslim trailblazer? She's always wanted to be a beauty queen and her dream came true with one of the biggest titles - Miss USA 2010 - Rima Fakih. As soon as the announcement was made, the labels appeared. She was described as Arab-American, Lebanese-American, Muslim-American. She became the center of controversy overnight after pole dancing photos surfaced and spread across the globe just as fast as an outlandish rumor started by a U.S. neo-conservative blog that she's a spy for the Shiite Lebanese group Hezbollah, designated by the U.S. and E.U. countries as a terrorist group. It's hard to gauge which claim could possibly hurt the new Miss USA more: the racy pictures or the unfounded rumors alleging she is affiliated with Hezbollah. One thing is certain, the Internet feasted on the story and different groups with different agendas jumped on the opportunity this story afforded them. Gulf oil spill - Sen. Mary Landrieu of Louisiana will share details at 10:30 a.m. ET Thursday of a plan to get more oil revenues sent to Gulf Coast states to help businesses and communities reeling from the impact of the massive oil spill. Interior Secretary Ken Salazar, meanwhile, discussed the oil spill with CNN a day after researchers said some of the oil had entered the loop current, an ocean current that could take some oil down the western coast of Florida, around its southern tip and into the Atlantic Ocean.